Home / Health Tips / US Gov’t Patents Marijuana as NeuroProtectant; Cures Alzheimer’s, Parkinson’s, Autism, etc. 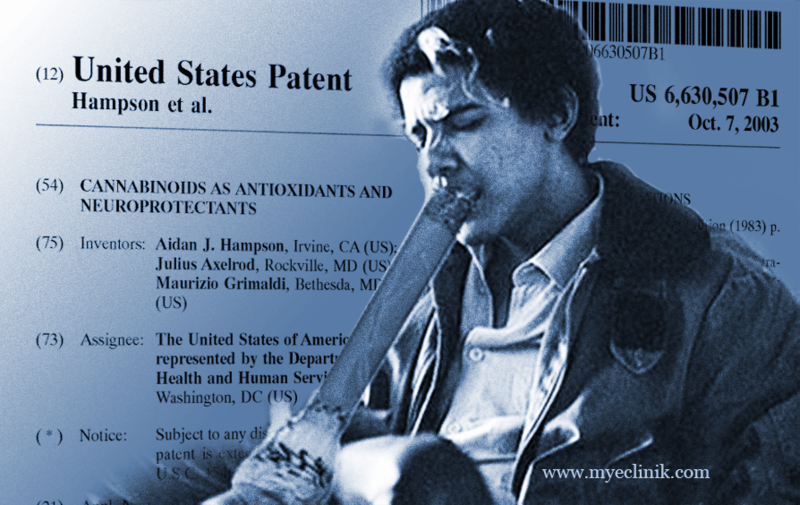 US Gov’t Patents Marijuana as NeuroProtectant; Cures Alzheimer’s, Parkinson’s, Autism, etc. 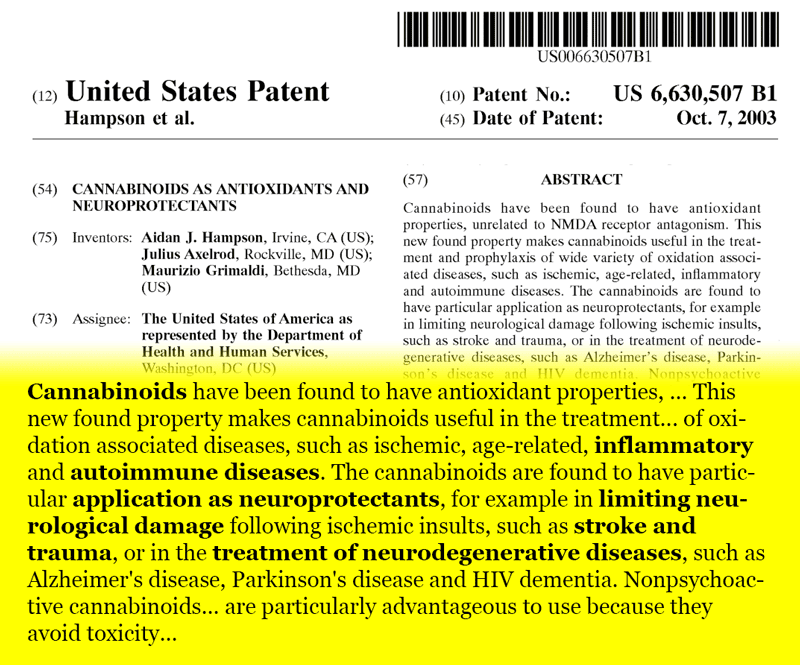 The United States government has a patent on cannabinoids as anti-oxidant for auto-immune diseases, and as neuroprotectants for treatment of Alzheimer’s disease, Parkinson’s disease, and HIV dementia. Ironically, government policies are not in sync with realities on the ground and with its own scientific discoveries. This only proves that government is indeed not in control of itself. In fact, here are some cases showing how effective cannabis treatment could be. Though Kalel Santiago of Puerto Rico is only 9 years old, he’s already endured some adult-level struggles. At just 10 months, he was diagnosed with the rare childhood cancer neuroblastoma, and spent more than two years undergoing surgery, chemotherapy, and radiation treatments. Then came the next diagnosis: severe, non-verbal autism. He and his wife Gladys — also parents to two older boys, now 18 and 20 — did a cram course in educating themselves on autism. They tried various schools and therapies, and eventually found impressive success with a unique surf-therapy school near their home. Then, through an April fundraising event for that program, the Santiagos happened upon a treatment that would quickly change their lives: hemp oil, rich in the compound cannabidiol (CBD), which has been shown, at least anecdotally, to dramatically ease symptoms of both epilepsy and autism. They took home the tiny sample bottle of spray and began giving their son twice daily doses, as directed on the label, right into his mouth. And the results, they say, were startling: Kalel started talking — in just two days. Debra Borchardt , ContributorI write about the business of marijuana. They are using CBD or cannabidiol, which can be derived from marijuana and hemp plants. Marijuana has higher levels of THC than hemp, which causes the “high” effect, while CBD contains the medical properties. Hemp has more CBD than marijuana, but less of the medicinal compound within CBD to have an effect. Marijuana plants can be bred to have higher levels of CBD and then those flowers are used to create CBD oil. It can also be extracted from hemp plants, which contains a large amount of CBD, but with less strength of the medicinal cannabidiol compound, according to the Hemp Industries Association. The stories of autistic children that are helped with CBD oil sound very familiar to the stories of the epileptic children that have responded to CBD. A Brown University teacher Marie Myung-Ok Lee , author of Somebody’s Daughter, documented her autistic son’s response to using Marinol, a synthetic cannabis which is produced by the drug company AbbVie. She switched to an edible form of cannabis and then a tea version. Her son went from self-harming behavior like banging his head to being able to ride a bike. She calls her experiment a qualified success. So, if you are a parent of an autistic child, go ahead and be desperate and try cannabinoids, in which case, you need to overcome another hurdle that the medical and legal establishments have been throwing at us, i.e. hemp or medical marijuana, what’s the difference? In their pursuit for further control on healthcare, they are now engaged in a subtle disinformation about the different classes of medical marijuana, or hemp. The truth is, there’s no difference except how you use it, i.e. medical, or industrial. In short, how you’re going to use it dictates how you’re going to grow it. “Wording aside, both hemp and marijuana are, in fact, the same thing. Although both “hemp” and “marijuana” as we know them are from the same genus, Cannabis, they are also part of the same species, Cannabis sativa. The scientific difference between what we refer to as hemp and marijuana comes from the purpose the strain was bred for. “The [legal] definition of hemp is a plant that has low THC and perhaps has a higher level of CBD,” says publisher and marijuana cultivation guru Ed Rosenthal. Rosenthal is the author of the Marijuana Grower’s Handbook, which was first published in 1984. A 1976 study by Ernest Small and Arthur Cronquist published by the International Association of Plant Taxonomy, “A Practical and Natural Taxonomy for Cannabis” concludes that both hemp varieties and marijuana varieties are of the same genus,Cannabis, and the same species Cannabis sativa. Further, there are countless varieties that fall into further classifications within the species Cannabis sativa. .. Over the last 50 years, growers have largely moved their operations indoors, fueling the innovation inherent in having the power to manipulate the atmospheric conditions of a gardening space. Today’s cannabis flowers are far more potent and perhaps a higher quality than much of the buds we have used throughout history as either medicine or entheogen. This continued disinformation is done even if the Federal Government has been reported to have already lifted the ban on marijuana altogether. Medical uses include: as mentioned above, for treatment of Alzheimer’s and Parkinson’s diseases, autism, cancer, or as a relaxant. Marijuana, or hemp industrial uses include: paper, building materials, cotton substitute, and thousands more. It was suspected that with the reduced bleaching chemical requirement for paper production, Dow Chemicals, along with other chemical manufacturers, made it sure that marijuana plantation be made illegal. The same chemical industry monopolists were also celebrating the hemp ban which effectively eliminated fierce competition to their expensive chemotherapy. For the government to deny its people the access to better option other toxic chemicals, is not only callous but murderous, as the only possible reason why it is doing so is that the government wants a zombie population that it can easily control of. Or, they want to deliberately thin the herd rather gradually, because doing so in one fell swoop would leave them with so much to dispose of, and that’s a logistical nightmare, although they once thought they really could do it with $1 billion worth of coffins. Whatever the case, the government still needs a little persuasion. It needs to announce in unequivocal terms that vaccine is bad and no longer mandatory. It has its own FDA and CDC evidences that such is the case. Or, it could ban vaccines altogether. After which, when everybody is already high, the government will certainly benefit from a relatively calm and relaxed society. It needs to do false flag operations no more as a way of distracting people from its inherent corruption. By then, everybody should be very happy. It has helped me in so many cancer, two new knees, with sleep, and most of all pain.